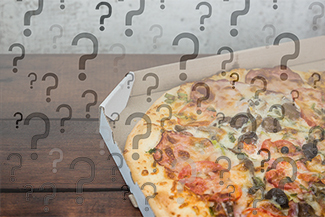 Have you ever wondered whether your pizza boxes were recyclable? Or, maybe you’ve put items in the recycling bin without being certain that your waste hauler could accept them. You’re not alone. This is a problem called recycling contamination. If you’re unsure about what you can or can’t put in the bin, don’t get discouraged–we all need to keep up the good work because recycling saves energy and other natural resources. For example, did you know that recycling just ten plastic bottles saves enough energy to power a laptop for 25 hours? 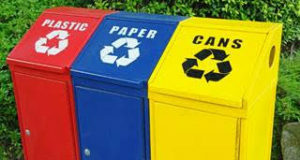 Check out these quick tips to learn the dos and don’ts of recycling and avoid contamination. Putting items in the recycling bin that can’t be recycled contaminates the recycling stream. When items that are not accepted arrive at processing centers, it raises costs for the facility because they must be sorted out and sent to landfills. They can also cause damage to equipment. Check with your local recycling provider to learn which items are accepted before placing them in the bin. For example, your provider may not accept every type of plastic. 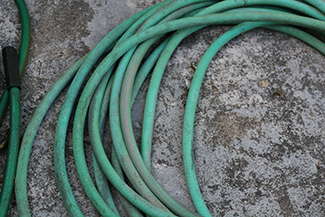 Empty and rinse metal, plastic, and glass materials before you recycle them. If you don’t have single-stream recycling, ensure you sort your items correctly. Use Earth911 to find appropriate options for things like plastic bags, electronics, batteries, and other items that can’t go in the recycling bin. Plastic bags: Generally plastic bags cannot go in a curbside recycling bin, but many grocery stores will accept them. Styrofoam: Most recyclers don’t accept Styrofoam. Egg cartons: It depends on the material of the carton. Check with your waste hauler. 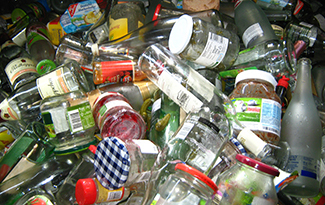 Food residue: Plastic, metal, and glass must be empty and rinsed clean of food debris before being recycled. 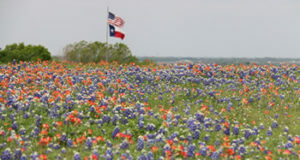 Wet or food-soiled paper may be compostable. 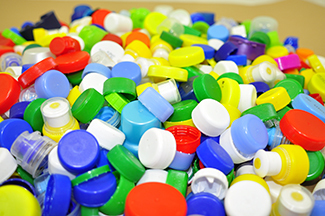 Bottle caps: You should be able to recycle bottle caps if they are attached to the bottle. Wrapping paper: A lot of gift wrap isn’t recyclable because of the coating on the paper, which is often shiny and laminated. 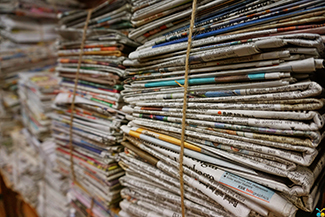 When purchasing paper, look for a type that can be recycled. *Always check with your local waste hauler to confirm what items can be recycled in your area. What’s Even Better Than Recycling?